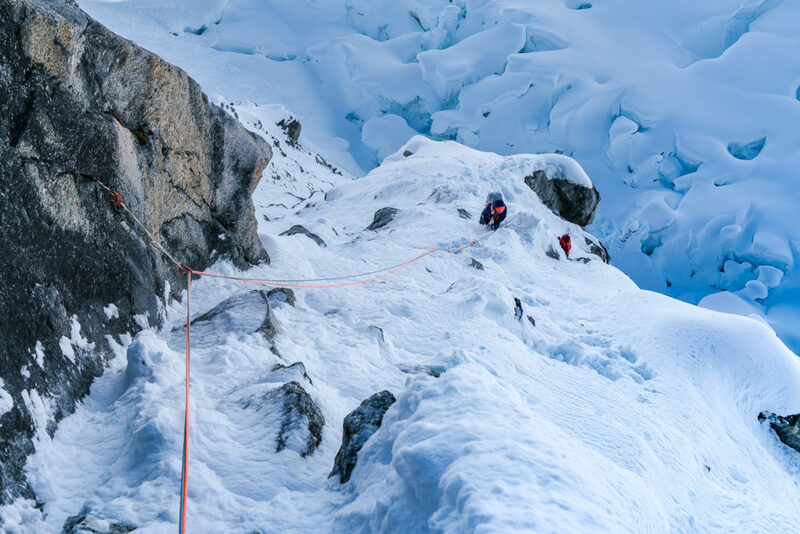 In the Alaska Range, climbing to the top of something is only tangentially about skill. Climbing here is an exercise in stoicism, mind-games, strategic use of good luck, and (hopefully) having enough intuition to know just how far these three will take you. My first trip to the Alaska Range, I was guiding a trip up Denali and was blown away by the beauty and the sheer physicality of the place. Unlike a lot of aspects of climbing (or life), there was no way to finesse or technique your way around hard, hard work if you wanted to climb something high. That trip turned ‘springtime’ into ‘Alaska time’ for me, and I’ve returned every spring since then. This year, I was beyond psyched to be heading in with my good friends Anne Gilbert Chase (AG) and Jason Thompson. 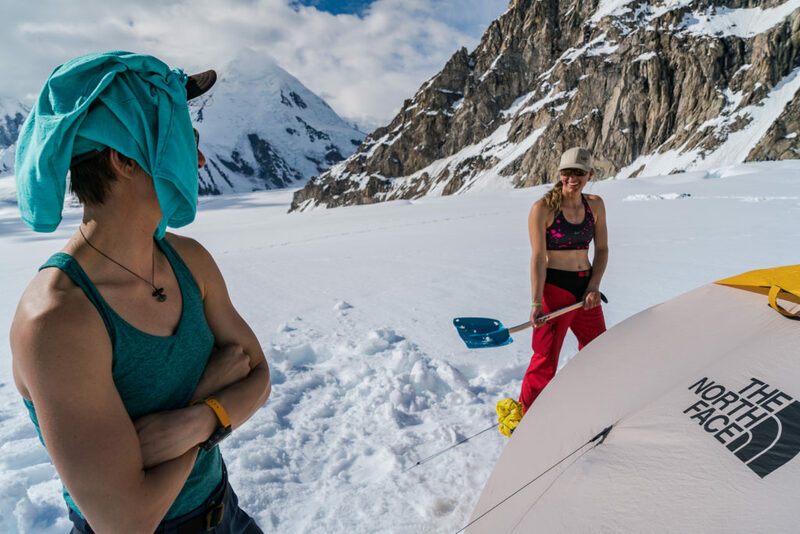 Veterans of the Alaska Range, AG is a newly-minted nurse/standout athlete and Jason, her fiancé, is a photographer/seasoned hardman. We wanted to climb a new route on the east face of Mt. 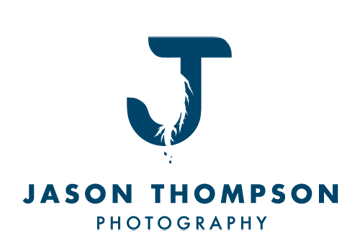 Hunter, an area that is seldom explored due to the committing nature of the approach. 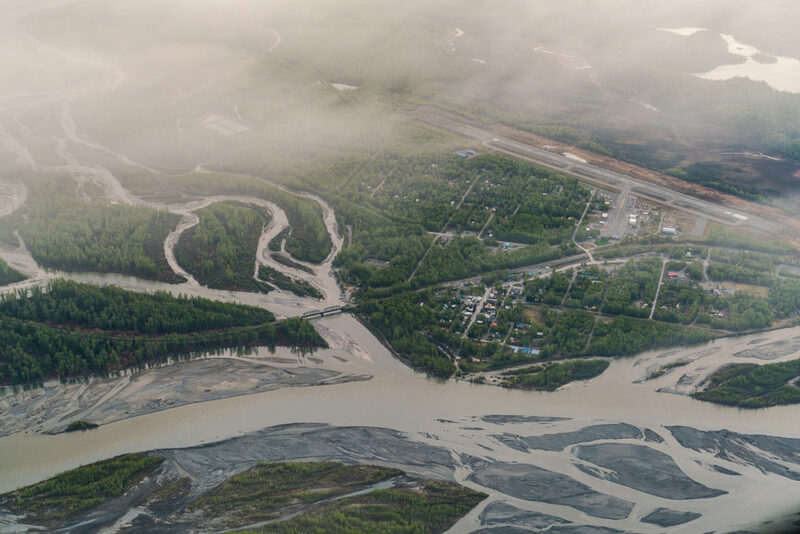 Only one pilot in the area will fly into the basin, which is often choked with clouds. 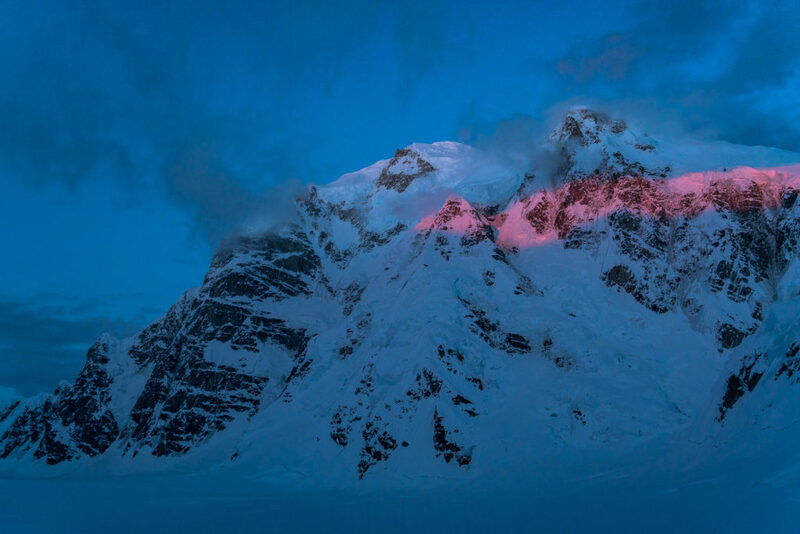 Even then, the flight is made on condition that climbers will make every effort to climb over the mountain and out to a less-fraught landing area. We knew that these flight conditions would require a fair amount of luck to let us even set foot at the base of the wall, so we had dedicated a sizable chunk of time to stay in the area and had created an exhaustive list of backup options that we could match up to just about any size of weather window. However, the Alaska Range had other plans for us. 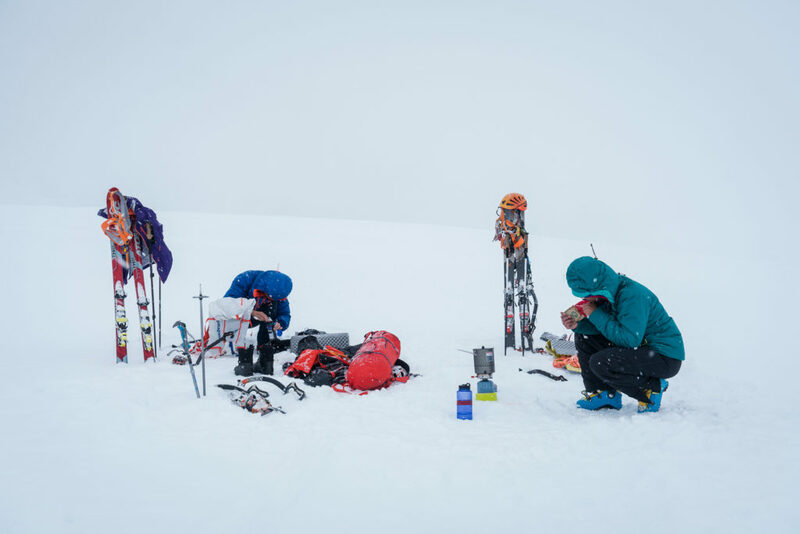 After flying in several days late due to storms, we spent several more days skiing around the Kahiltna Glacier (our basecamp) waiting for the unsettled weather to clear. Finally, we got a small window and used it to make a dash partway up the north buttress of Mt. Francis, following a route our friends had established several years prior. 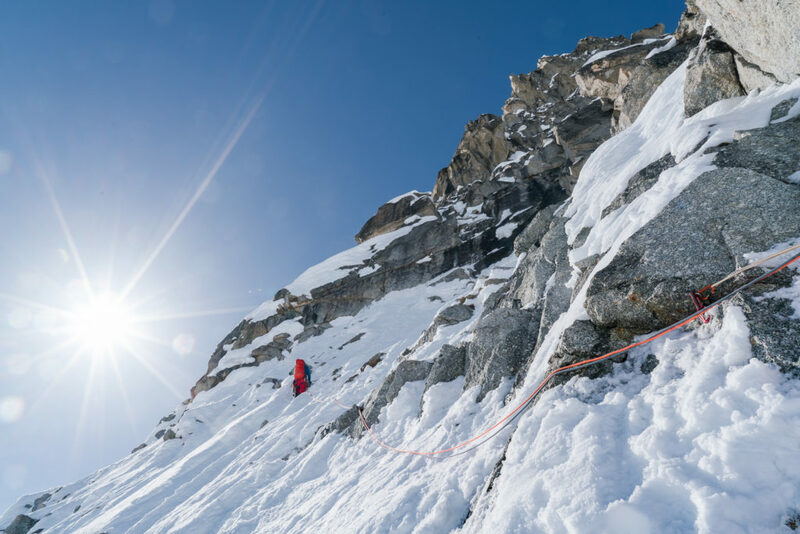 We climbed through the cruxes, but as the day warmed to unseasonably high temperatures and the route conditions deteriorated, we decided to descend the route before topping out. A few days later found us on another small-ish route, trying to use stoicism and mind-games to top out a route through snowfall and rivers upon rivers of spindrift while the temperature hovered around 0° C/32° F. After we were all completely soaked through (not an ideal situation in a place as unforgiving as the Alaska Range), we made the call to stop draining our luck stores. We rappelled and headed back to basecamp. Finally, several days later, we had our chance. All of the forecasts and models were aligning for a 4-day weather window. We packed our bags and called our pilot, who informed us that our basin was choked with clouds. Disappointed but undeterred, and not wanting to waste any of our precious window, we shifted gears fast to our backup plan: another big unclimbed line with a long ski approach. After hours of skiing, we stood at the base of our route and began. 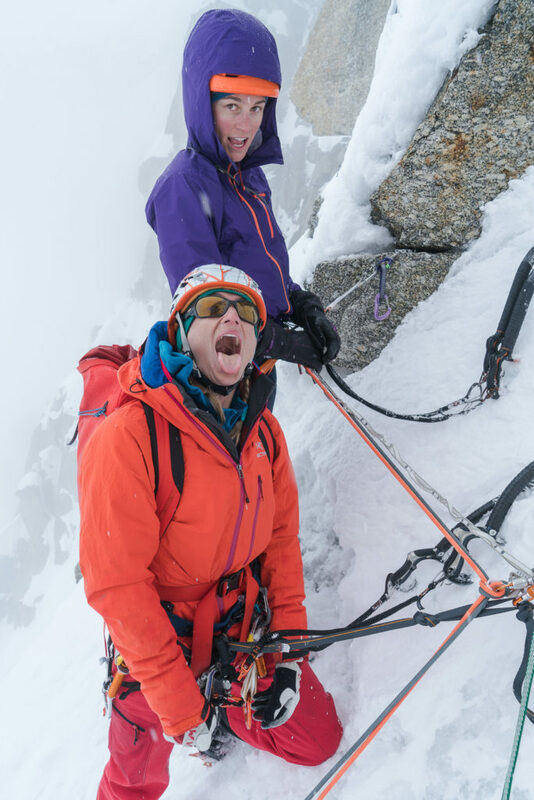 I started us off through the first 350 m of moderate ice-climbing that took us to the base of some technical difficulties, whereupon AG took the rack and proceeded to style the most hair-raising steep ice pitch I’ve ever been complicit in. We continued up for another ~150 m of more moderate terrain while watching the clouds, which had been gathering all day, begin to consolidate into something more concrete. Jason, the most AK-weather-savvy of the three of us, offered that he was getting a bad feeling about the changing conditions. We decided to pull out our radio to try to catch the evening forecast and sure enough, our weather window had closed with an abrupt slam. A big storm was headed our way, seemingly out of nowhere. As the forecast played, the first flakes of snow began to fall and with them, spindrift from the large bowl looming above. With all of these events converging, we knew we had to go down. As the rappels began, the spindrift graduated to avalanches, and we knew we had made the right call. Eventually, we made our way back to basecamp through the whiteout conditions on the glacier, only falling a few times, and only due to vertigo, not crevasses. 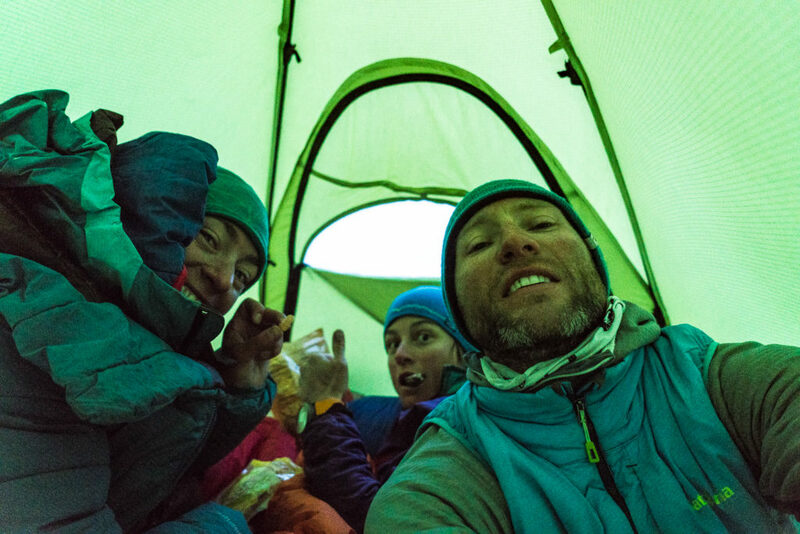 Of the parties that had tried to seize the weather window only to end up straggling back to camp, slightly strung-out and defeated, we were the last to return, but everyone had made it back safely. The big storm system dominated the rest of our trip, and we flew out having climbed on a fair amount of routes, but none of them to the top. In the greatest of mountain ironies, the weather cleared just after the scheduled end date of our trip. 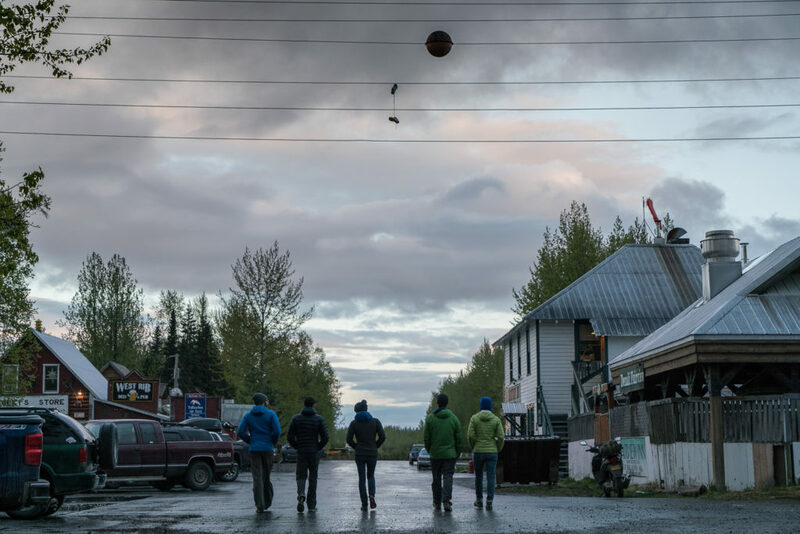 There’s only so much you can do in Alaska sometimes. One of my friends likes to talk about the idea of emergence – the idea that the sum and synergy of many parts is greater than the whole. Alaska 2016 defines that idea for me. We may not have had the luck to summit anything on this trip, but for me, the experiences gained from these misadventures more than offset the disappointment of not having climbed a single route in its entirety. ‘Til next time, Alaska.